Nelson Ireson May 24, 2012 Comment Now! 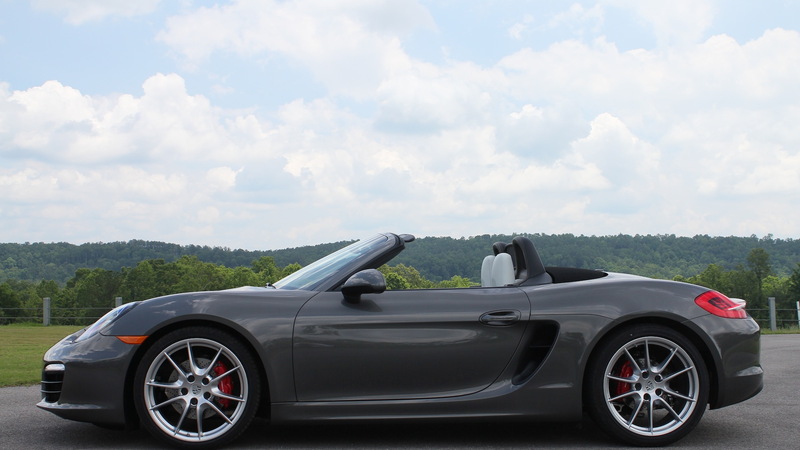 With better looks, more power, better gas mileage, and improved handling, the 2013 Porsche Boxster is the best luxury roadster you can buy. Yep, I said it: don't bother with the BMW Z4 or the Mercedes-Benz SLK. This is the roadster you want. 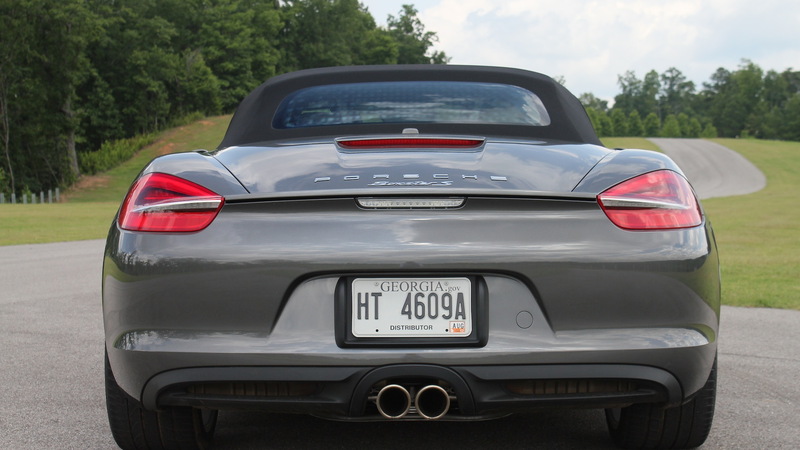 The last Boxster, the 986, was a bit rough around the edges, and if we're honest, a bit doughy-looking. It was noisy, the interior wasn't all that nice, and while it still handled brilliantly, the charms of the Z4 and SLK were enough to make it a three-horse race. 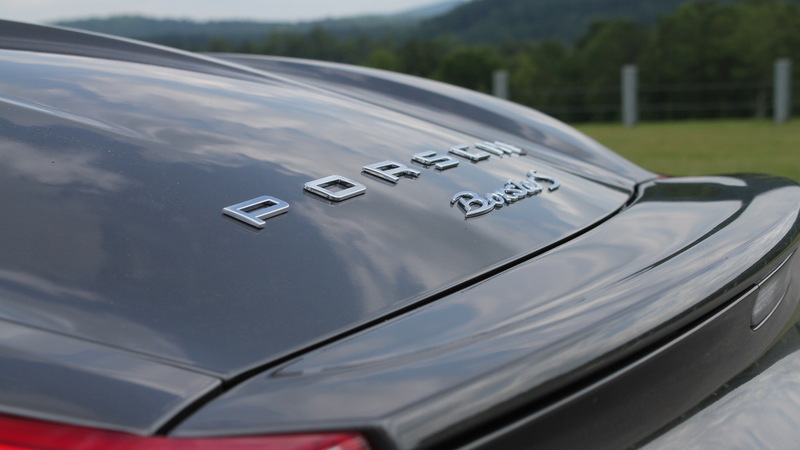 With the 981 Boxster, Porsche has pulled ahead, and by more than a nose. Having just spent a day at the track, on the road, and on the autocross course with the 2013 Boxster S--PDK versions only, as we journalists can't be trusted with manuals, apparently--I can confirm the 3.4-liter engine's 315 horsepower rating feels conservative, and the 0-60 mph time of 4.7 seconds does too. 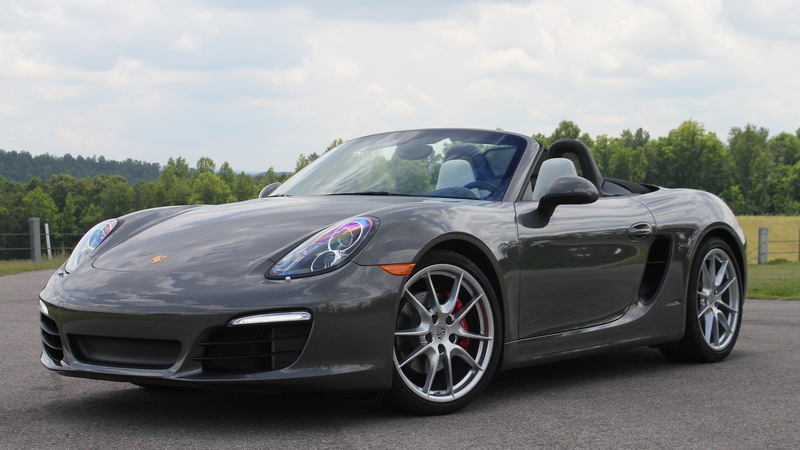 But the Boxster isn't about straight-line performance--it's about dynamics, and here, the 2013 model succeeds almost effortlessly. Well, it's effortless for the driver, at least--the engineers behind the Porsche Torque Vectoring, the 40-percent stiffer yet lighter chassis, and electric power steering doubtlessly spent many a weekend and evening to deliver the coherent, refined, and capable package that's available on dealer lots this summer starting from $49,500 for the base Boxster or $60,900 for the Boxster S.
Behind the wheel, the Boxster sings. Even the electric power steering doesn't let the car down much--it's a bit over-boosted for some tastes, though others will find it just right. On-center feel is very good, making it easy to track straight and true on the highway, while surface feel in mid-corner is surprisingly good, at least on par with the 2012 911, making it easy to approach the limits of the grippy, bespoke Pirelli P Zero tires without going over. Speaking of the Pirelli tires, it's worth noting that these aren't your standard off-the-shelf P Zeros. In fact, they're unique to the Boxster, designed from the carcass up to work with the Boxster's suspension, power, and weight. They're surprisingly grippy, heat-tolerant, and quiet on the road. Turn in and the wider front track is immediately noticeable, with ample grip and almost no tendency to understeer, even with some of the electronic nannies on. Sport mode is fun, but Sport Plus mode is where it's at if you like to play hard but keep a bit of a safety net. In this almost-no-nanny mode, the Boxster will let you trail brake, get power-on oversteer on corner exit, and even flick back and forth through a tight slalom without intervening. Go a bit too far, however, and the system reins you in, doing its best to keep the car headed forward and stable. Engaging Sport mode for the dampers makes the Boxster corner even more readily, with less initial body roll, than in basic configuration, but the extra load it puts into the tire will quickly bring up the temperature of the Pirellis and result, ultimately, in somewhat less absolute grip. For longer track runs, or for an afternoon in the canyons, we'd stick with the normal damper setting--it's still very capable, and it's more comfortable, too. The PDK transmission calibration is, in most respects, excellent. In Sport Plus mode, it quickly learns what you're doing and responds with perfect gear selection and near-instantaneous shifts. In Sport and normal modes, however, it can do some surprising things when going full-throttle, like kicking down a gear mid-corner, when it's not really desired. But on the road, in normal driving, normal and Sport modes are both just fine. 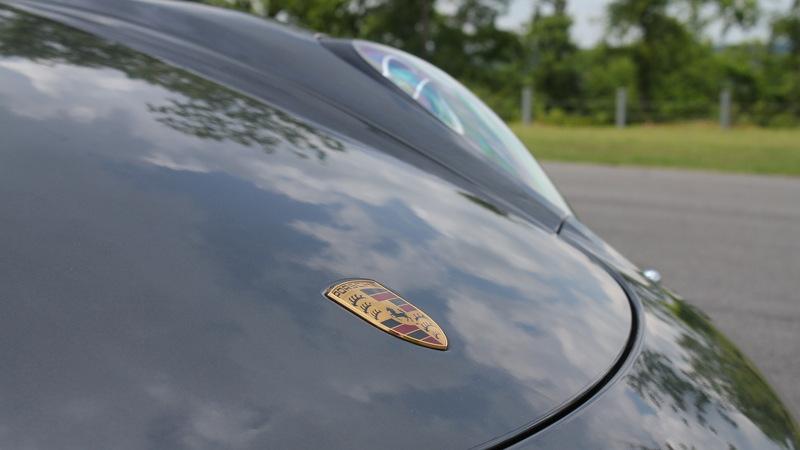 In fact, the default tune of the PDK transmission, throttle map, and and suspension make the Boxster an uncommonly sedate and comfortable cruiser when the driver is so inclined, especially with the top up. Sounds penetrate the cabin, but only rarely at an obtrusive level, and the interior itself is a two-seat excursion into price-perfect leather and plastics, its design echoing that of the new 911 and the Panamera, with buttons aplenty, but all in their proper places. Let the top down and step on the gas, however, and a throaty bark fills the air, reminding you that this isn't just your wife's stylish roadster: the Boxster can get down to serious business whenever you want to. Kick up the settings and drop the hammer. The Boxster is your new best friend.